Enrollment begins with an Enrollment Appointment. Your appointment date and time is sent via email several weeks before the start of Registration; please refer to the Scheduling Office webpage in case you are unsure of the term's registration start date. (You can find this date under the Academic Calendar tab under the appropriate term.) If you cannot locate your email, you can also find your appointment date and time in the Student Center. Access GET from the MyCalStateLA Portal. You will be assigned a specific day and time when you may begin enrolling. Enrollment Appointment times are assigned randomly throughout the day based on your academic level and units earned. The time assigned to you is fixed and not subject to change for any reason. 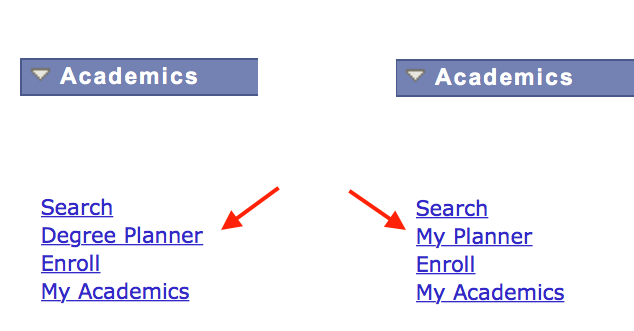 Hint: In GET, use the change term button to select the correct term when looking for your Enrollment Appointment. One useful feature in GET is Enrollment Validation. Enrollment Validation is tied to your Shopping Cart Appointment; with Validation you can pre-screen your planned class schedule to identify classes that may require additional steps before you can successfully add them (e.g. permit, consent, prerequisite, time conflict, etc.). With your schedule set, shopping cart validated, and permits in place, you can quickly finish enrolling when your Enrollment Appointment day and time arrive. See Step 4 for instructions on how to validate your enrollment. Note: validating your schedule does not reserve seats for you in the classes. Resolve any holds you see in your GET Student Center. Cal State LA offers two degree planning tools via GET to students in order to assist with an on-time completion of courses for Graduation. log into GET and access the GET Student Center. Under Academics, look to see what links you have listed. visit the My Planner page. Note that minors and undergraduate certificates are now available in Degree Planner. Return to the Student Center and click on the Schedule Planner link and read the instructions on that page. Additional instructions are available here. When you have identified your preferred schedule, use the Send to Shopping Cart button to push that schedule back to GET so you can validate your selections. Return to the Student Center and click on the Plan link then select the shopping cart tab. If necessary, select the term and click the CONTINUE button. Use the import cart button to retrieve your preferred schedule from Schedule Planner. Review each imported class and click the NEXT button to accept them into your shopping cart. Check the box next to each class you want to test then click the validate button. Hint: check all classes to see time conflicts. Read the information next to each class in the Message column. Hint: look for a red X in the status column indicating additional action from you is needed (e.g. permit, consent, prerequisite, time conflict, etc.). If appropriate, secure permits and prerequisite waivers from the departments teaching the classes before your Enrollment Appointment date. Note: validating your schedule does not reserve a seat for you in the class. You must return when your Enrollment Appointment day and time arrive and complete the enrollment process (Step 6). Pay any tuition and fees not covered by your anticipated term financial aid at least three days prior to your Enrollment Appointment day and time. Financial Aid will send notifications including anticipated aid to students who met the priority application date. Additional information on deadlines for term tuition, fees and late fees can be found on the Cashier's Office webpage. Return to the Student Center when your Enrollment Appointment day and time arrive. Click on the Enroll link. Review your schedule and make any needed adjustments. Click on the Proceed to Step 2 of 3 button. Confirm your classes by clicking the Finish Enrolling button. View results of your enrollment. Verify the status report that is displayed for enrollment confirmations and errors. Follow the instructions on this page to resolve any unsuccessful enrollment requests. Click on My Class Schedule before you exit to confirm that your registration was successful. Please refer to the University Scheduling Office webpage. You have three options for ordering your official transcript of course work taken at California State University, Los Angeles, including Open University, Extension and Summer Sessions. Online. Students may order transcripts online. This service is available 24 hours a day, 7 days a week. There is an additional $2.45 processing fee for each transcript. In Person – Transcript Order Forms are available on-line or in Records Office, Administration 409. Payment can be made by check or in the Cashiers Office, Administration 128.
any special conditions required prior to having the transcript sent (e.g. : inclusion of current term in progress grades or verification of a degree just awarded, etc.). Cashier's Office Cal State LA 5151 State University Drive Los Angeles, CA 90032. Please make checks payable to California State University, Los Angeles. For on-line orders, there is a $2.45 service fee for each transcript. Note: Transcripts are not issued until all outstanding accounts with the University are paid. Most official transcripts are distributed within the week after receipt of the request. However, requests that specify inclusion of grades just earned or verification of a degree just awarded cannot be filled until two to three weeks after the end of the term. Students may provide a pre-paid Express Mail envelope with the request to expedite the mailing process. All official transcripts are mailed to the address designated on the Transcript Request form or letter. All transcripts received by students are marked "Issued to Student" and may not be considered official by other educational institutions. In addition, employers and other businesses may not consider these transcripts official if the seal on the mailing envelope is broken. Students must specify in their request form or letter if they desire transcripts to be sent in separate sealed envelopes. The notarization process requires five to ten business days for processing in addition to the initial processing time necessary for production of the requested document. Notary requests involving official transcripts will not be issued if a student has a financial hold on their account. Please note that to get Notary Services, students must show evidence that a notarized verification form is required. Foreign agencies may request an Apostille or Certification of a notarized document. The California Secretary of State provides Apostille and Certification services for notarized documents issued in the State of California. For more information regarding Apostille or Certification services, please see the California Secretary of State Authentications website or contact the California Secretary of State Office at 916-653–3595. Students register for classes through GET, which can be accessed from the MyCalStateLA Portal. A Registration Appointment Time, which tells each student on what days they can register, is placed in each GET account prior to the term's first day of registration. Students that don't receive an Appointment Schedule should contact the Records Office, located in Administration 409, telephone (323) 343-3873. Tuition and fees must be paid prior to registering for courses. For payment plans and payment time frames, visit Student Financial Services at http://www.calstatela.edu/univ/sfinserv/index.php. A PIN (Personal Identification Number) is randomly assigned to every student at CalState LA and is used to access GET through the MyCalStateLA Portal. For security reasons, a student PIN should never be kept with the student Campus Identification Number (CIN). come in-person to the Records Office (Admin 409) to obtain a new PIN. PIN numbers are never released over the telephone. Class instructors can approve enrolling as an auditor only after for-credit students have had a chance to register. Students registered for other classes may audit classes only by special arrangement with the class instructor. Regular add procedures do not apply. Students must submit an instructor-approved program change form at Administration 409. Audited courses are not recorded on the student's transcript. Students use the GET Student Center to add and drop courses from their initial registration appointment time until the eleventh business day of the semester. The add/drop deadline varies for intersessions, summer term, and other special sessions. Please refer to the Scheduling Office for specific deadline dates. Classes dropped during this period will not appear on the student’s transcript. Students use the Late Add Request form to add a class after the add deadline and before the fifteenth business day of the semester (census). The census date varies for intersessions, summer term, and other special sessions. Please refer to the Scheduling Office for specific census dates. A Late Add request requires payment of a $25 late submission fee and signatures from both the class instructor and the chair of the department offering the class. Students use the Petition to Add Class after Census (see bottom of this page for link) only in cases of a documented technical error on the part of the University. Students use the Withdrawal Petition to drop classes between the add/drop deadline and the 80% point within the term. Please refer to the class schedule for these specific dates as they may vary. A withdrawal is included on the student’s transcript with a W grade. Undergraduate students are limited to 18 semester units of withdrawals for their entire undergraduate career. Students use the Withdrawal Petition and Addendum to drop classes during the last 20% of a term. Please refer to the class schedule for these specific dates as they may vary. A late withdrawal is included on the student’s transcript with a “W” grade. Undergraduate students are limited to 18 semester units of withdrawals for their entire undergraduate career. Students are not permitted to withdraw after the end of a term. Changes to enrollment (add, drop, and withdrawal) occurring after the start of the term are assessed a pro-rata charge (reduced refund). The Disbursement Office website offers information regarding refunds. All students can view their official enrollment in GET. Students are responsible for bringing any enrollment discrepancies to the attention of the Records Office (located in Administration 409). If a student is enrolled in a course section that he/she thought they had dropped or don't remember registering in, that student must obtain a drop request form with the signed approval of the instructor, department chair, and possibly the school dean(s) in order to have the course officially dropped from their record. The student is the only individual responsible for the enrollment record, and shouldn't assume that they will be dropped for non-attendance. Cal State L.A. uses waitlists in the enrollment process to help students register for the classes they need. Detailed information about waitlists is on the GET page. The CSU Fully Online Courses program (formely known as "CourseMatch") provides an opportunity for eligible fully matriculated CSU students to enroll in one fully-online course per term offered by another CSU campus. The program is aimed to facilitate access to high-demand, high success courses as part of the continuing effort of providing students with access to the courses needed to expedite graduation. If you are ready to enroll in a CSU Fully Online Course, please visit your MyCalStateLA portal and select the "Enroll in CSU Fully Online" link. Please note that CSU Fully Online Enrollment is typically available two weeks prior to the start of the term. Students from other institutions taking a Fully Online course offered through CalState LA may find additional information on our CSU Fully Online Courses Welcome page. The National Student Clearinghouse is the authorized agent for California State University, Los Angeles, for providing enrollment and degree verifications to third parties. Current students may use the self-service application available through the MyCalStateLA portal to print their own enrollment history, verifications, check loan deferments sent to your lenders, and link to real-time information on student loans. For assistance with Student Self-Service, contact the Clearinghouse at service@studentclearinghouse.org or call (703) 742-4200. California State University, Los Angeles abides by the Family Educational Rights and Privacy Act of 1974 (FERPA), and in so doing, provides students a number of rights with respect to their education records. Among these rights are: the right to inspect and review personal education records, the right to request the amendment of education records in the case of inaccurate or misleading information, the right to consent to disclosures of personally identifiable information contained in these records, and the right to file a complaint with the U.S. Department of Education concerning alleged failures by the University to comply with the requirements of FERPA. Copies of the campus policy, Administrative Procedure for Student Records Administration, can be found in the Records Office, ADM 409, and in the University Catalog. Complete information about student academic status can be found in the University Catalog. Undergraduate students must carry a study load of 12 semester units for full-time enrollment certification by the University. The recommended full-time study load for undergraduates is 15 semester units. Students on scholastic probation must limit their study load to 12 semester units or fewer. A student on probation may petition the university for a greater study load with the approval of an academic advisor and department/division chair or school director. Graduate Students: To be considered full-time, graduate students must carry a study load of 12 weighted units of approved prerequisite, corequisite, or graduate program courses (graduate level courses have a weighted factor of 1.5). (See the Faculty Handbook for more info). Upon recommendation of a student’s major department or division and approval by the school graduate dean, a student enrolled in any of the following courses may be certified as full-time with a study load of fewer than 8 weighted units: 5960, 5970, 5980, and 5990. The maximum study load for students working toward a graduate degree is 12 units per semester. Students must provide evidence that units in additional term(s) would be required to graduate without approval of their request. A Student may file an academic renewal petition with a GPA lower than C (2.0) either in general education (GE), the major or overall college units attempted (a condition that is preventing them from qualifying for the degree) and meet all above criteria and conditions. Please refer to the Faculty Handbook for the latest information on repeating courses. Per Executive Order 1037, undergraduate students may withdraw from no more than 18 semester units. For withdrawals made prior to Fall 2016, the units will be converted and displayed as their semester equivalents. Undergraduate students must maintain a C (2.0) average in all courses attempted at Cal State LA and any other college or university attended and to make satisfactory progress toward their academic objectives. Students who receive financial aid should consult Student Financial Aid about additional criteria that may define satisfactory progress. The GPA is computed by dividing the total number of grade points earned by the total number of units attempted. Grade points are assigned for each unit of course work undertaken. CR and NC grades are not included in grade point average computations. Points awarded per course are multiplied by the point value of the grade. GPA (Grade Point Average) is determined by dividing attempted by points. Repeat: Repetition of prior course with lower grade removal from GPA calculation. Note: be sure to check the Faculty Handbook for up-to-date and more in-depth information on the policies outlined below. In the event of descrepancies, policies in the Faculty Handbook supercede those described below. Students are placed on academic probation if either their grade point average at Cal State LA or their cumulative grade point average in all college work attempted falls below a C (2.0). They are continued on probation for grade point deficiency until their entire deficiency is removed or until they are disqualified in accordance with the regulations stated below. Continuing students who are disqualified may petition to remain as matriculated students on special probation. To be eligible for special probation, disqualified students must complete the disqualification interview with their academic advisor and obtain the advisor's approval. The advisor must specify on the special probation petition the terms and conditions under which the student will be eligible to be returned to and to remain in matriculated status, such as courses to be repeated, courses to be completed, GPA requirements, and any required workshops and/or tutoring. All disqualifed students who are reinstated or readmitted are placed on special probation because their GPA is below the value needed for the class level. These students must earn better than a C (2.0) GPA each term until the GPA is at least the minimum for the class level. Students will be disqualified when they completely withdraw while on special probation. Disqualified students are required to arrange a disqualification interview with their academic advisor to review the reasons for disqualification, to explore the option of requesting special probation or readmission, and to establish the terms and conditions for recommending special probation or readmission. Undeclared majors will hold this interview with their advisor in the University Academic Advisement Center. For greater detail on the reinstatement (readmission) process, please refer to the Faculty Handbook. Disqualified students must file their application for readmission before the appropriate admissions deadline. Students enrolled but not officially reinstated for the term after disqualification should file a request for complete withdrawal and full refund of fees prior to the start of the term. Registration will be cancelled for disqualified students who are enrolled and do not file a withdrawal request. Fees are not returned in these cases. For detailed information about Academic Dishonesty, please refer to Appendix D of the University Catalog. Students in good standing and officially enrolled in one or more residence courses may challenge courses by taking examinations developed at the campus. Students may obtain credit by examination in undergraduate and graduate courses listed in the General Catalog. Approval of the Instructor and Department Chair is required. These units do not count towards residency credit, nor do they count as part of a student's academic workload. Grades received by examination are recorded as final grades on the permanent academic record and are designated as earned through credit by examination. Undergraduate students may request a leave for no fewer than 2 and no more than 4 semesters. Graduate students are granted a leave for a maximum of 2 semesters, subject to renewal. Continuing students' allowed absence of 1 semester is included in these maxima. Summer and winter terms are not included in these totals. Grades are submitted to the Records Office three working days after the end of final examination week. To reconcile a suspected error, students should submit a discrepancy report form available at the Records Office, located in Administration 409 by the following term. Any student who wishes to contest an assigned grade should refer to the "Student Conduct: Rights and Responsibilities" section in the General University Catalog.